If you’re thinking of signing up for one of our art courses , then read the thoughts and comments of Stan’s existing and former students. After all, they are the best people to judge the quality of the drawing and painting courses on offer. I was very lucky to have found Stan online to help me work on a Portfolio 6 months ago. After deciding I wanted to go to university after 4 years of being away, I had no work to show and no idea where to begin. We started working from beginning stages right through to concentrating on the area of art I wanted to study, Interior Design. Stan knew exactly what my universities wanted to see from me and we managed to create a pile of work that showed my skills and personality. I applied to two Universities and just the other day got offered a place at my first choice Chelsea College of Arts for an Fda in Interior Design. I am very excited and grateful to Draw and paint online for offering such a great service. Thank you Stan, could not have got this far without your help. I was approaching my final year at Manchester Metropolitan University studying Illustration with Animation and felt I needed a different approach to teaching to what I was receiving at the university. So I started having regular tutorials with Peter Stanyer (Stan) in August 2016. Throughout our tutorials Stan gave me valuable criticism and introduced me to artists that have inspired and impacted my work. Not only has Stan been a superb teacher he has also been a supportive and caring mentor. In January 2017, after Stan had been teaching me for six months, Stan approached me and suggested I should apply to the Royal College Of Art. At the time I had no confidence in my work and didn’t think I ever had any chance of getting an interview at the RCA, never mind a place! But Stan still pushed me on, helping me with my portfolio and giving me advice on the interview process. I will be attending the Royal College of Art in London this October to study Visual Communication (Illustration) MA. Without Stan’s guidance and teaching I wouldn’t be going to the number one art school in the world. Stan your online course has been a great help. Our daughter was regularly told that her analytical drawing skills were a weakness so she took your course over the summer before starting on her foundation programme and apparently now she is the best at drawing on the course. You have made a huge difference not just to her drawing but also her chances of succeeding in the future and most of all to her self-esteem. Your feedback was always prompt and delivered as positive criticism. Thanks for being supportive and invested in students you never even get to meet. I wasn’t expecting much from an online art course but I have been greatly impressed. I had a few basic skills which are now developing rapidly! Ive managed to sell some pieces already. The course has taught me to think outside the box which has had a great impact on my confidence. Moreover though, I have been able to enjoy great flexibility which has been badly needed due to other commitments in my life. I whole heartedly recommend Stan if your considering an online art course that is value for money…you cant go wrong!!! 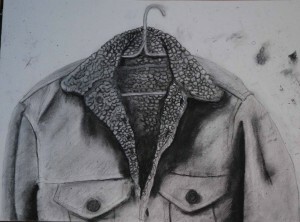 Texture assignment drawing – really enjoyed this assignment! I have just finished assignment 4 of the beginners art course and have so far found the course extremely informative and helpful. The assignments are set out clearly and show good examples and ideas for completing each exercise. Stans comments are positive and constructive and help point you in the right direction and give you confidence. I’m sending these (drawings) from Hanoi, Vietnam. I was so keen to complete the Exercise before coming here and to be truthful, most it it has been done hastily, at work. I’ve had a bit of a fraught weekend but one good thing to come out of it all, is that my daughter wants to do the same (Draw and Paint Online course) – so, my Christmas pressie to her and she did A level art lol !! I’ll sort out paying nearer the time. I know my tone/shade isn’t great but I’ve learnt simple things like how you hold your pencil counts- especially for continuity of tone, depth etc. Pressure applied. I’ve actually made random cube samples very roughly to try to imagine cutting into them and imagined cutting into an orange for the circle shape. I enjoy drawing with my ruler and re- learnt ” fairly” accurate measuring. I really enjoyed looking at Legers’ work and it did inspire me in my head and tried to demonstrate that on paper. Felt tip pens don’t rub out! Love the colour of felt tips. I arrived in England and I will start the course next week …….. The first project is called ” the institute on last lost things”, I managed to come up with some great ideas and it’s all because I feel confident in my work thanks to you and the course. I can see inspiring things in about anything, I have been to museums again and I got tons of ideas from very random antique objects. Please excuse me for writing to you so late, I have been busy with getting ready for university both mentally and packing wise. I am still adjusting to this lifestyle. I will have 4 courses, drawing, research and analysis , contemporary practice and historical themes in contemporary art. Seems very nice. I want to thank you for everything you have done for me and I would like to thank you in person one day if we meet. The last negative space project turned into some many different ideas and in the end it wasn’t even about negative space anymore …………. Thank you again for everything you have done for me and that you gave me confidence through the assignments, even if some of them were not great, they still managed to make me confident and open my mind. I just had an email from Grays School of art at Aberdeen about my interview from last week and they’re offering me a place for Contemporary art practice! Thank you very much for everything!!!!!!!!!!!!! I only presented the work I did with you, I have nothing else. The assessors were pleasantly surprised with the work I did even though it was an online course. Dear Stan, Today, the British council organised an university fair and the only art university there was UCA ( University for the creative arts). I wanted to go and get some feedback on some of the works I have done so far and get some tips for the interview. They have offered me a place for the Fine Art course on the spot. They said the works are great and wanted to offer me the place directly without any application. They gave a signed paper and I just have to pass my end of year exams. What do you think? I was really happy, it means a lot and I quite like the course. Should I apply to some other universities in London? The course is in Farnham/ Canterbury, I can chose between these two. Do you think this course would suit my style? I also want to thank you for everything, I would not be here without your help and this course. I feel a little more relaxed now and I can’t wait to start working on the negative space project. Thank you for the positive critiques. I am more inspired to do more practice and work. I will keep in mind to work something from a real landscape to better my observation and recording skills. I am excited and looking forward to accomplishing my next assignments. 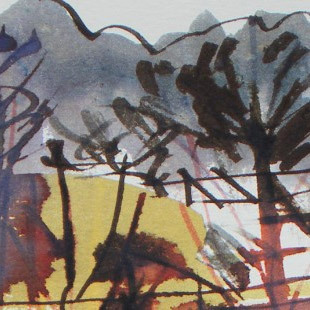 “I was introduced to Stan and his Artworks programme through a mentoring scheme for artists. The programme has made a profound impact on my art by pushing the boundaries of my existing art practices. I now teach art in the beautiful setting of Asbourne(Derbyshire) to adult learners, as a result of this wonderful programme. “I would just like to thank Stan for the excellent course I have just completed and as a result I am about to enrol on the next course. The courses are clearly explained with good examples and prompt feedback,good direction, some complimentary and some constructive depending on how you have completed the exercise, as you would expect. “I first heard of Draw And Paint Online in a magazine article I read earlier this year. On further investigation I noticed that Stan offered a Taster Course so I applied. I have to say that it was the best tenner I have spent in a long time. Great value and it does indeed do what it says as it gave me a taste to try some more and i’m presently half way through the begginers course. The course is clearly outlined and Stan is always available for support and advice. There are no deadlines and you can do each assignment in your own time. I also like the way he provides the names of artists for suggestions as research. This means that as well as developing new skills and ideas regarding your own art you are also educating yourself and learning about different artists. “I’m taking the Online Leisure Art Course as I find it difficult to attend classes on a regular basis. I did well in Art at school but that was back in the nineteen sixties. Retirement has given me the opportunity to renew my interest in art and the time to develop my skill. I searched online to find a course that suits me. I have found Stan’s approach to be most helpful. His evaluations are always very positive and constructive. In particular, I like the idea of reading the next assignment and allowing myself some time to think how best I might approach it. If I get stuck I leave it and come back with a fresh mind and forge ahead again. As regards content, I know that there are many gaps in my knowledge, so starting at the beginning and revising all the steps is working well for me. “My son, who is 14 years old, has just completed Part A of Stan’s Beginners Course. He is being schooled via distance education (ie home schooled) and is completing Stans’ course as a core elective unit for his grade 9 studies. The results of the art course will form part of the overall grade for the year. I have to say that we are really pleased with the course offered by Stan, my son enjoys it and his distance education teacher is more than happy with the contribution the course is making to my son’s education. Finally, I must point out that we live in regional Australia, and thus the course is being completed online. This has in no way detracted from my son’s ability to complete the course – the assignments are always self explanatory, and Stan always provides quick assistance even despite the time difference. This course has proved to be the perfect solution for my son’s interest in art. “I began studying the Beginner’s Online Leisure Course (following an excellent Taster Assignment) with Stan last November, and I’m enjoying it so much! I had dabbled on my own with sketching/painting previous to this, but felt I would benefit from some direction and help, which is why I was delighted to find his website. Stan’s assignments are very clear, with step by step, easy to follow instructions and plenty of examples to help. He is very approachable and feedback is quick, positive and constructive too. I find the links for artists with each assignment really helpful and interesting, broadening my knowledge and putting the exercises into context. Another very positive feature of the course is that there’s no time pressure, so if you have a really busy week you can pick up where you left off, enjoying the whole process without worrying about missing deadlines, so it’s a total pleasure, not a chore. As there are no suitable courses locally for me, and with relocation on the horizon for myself and my family, the online course is perfect for me! “I have just completed Level 2 of Draw and Paint on Line. It has been a most enjoyable experience. There is no doubt that I have learned a great deal form this course. The 20 Assignments which arrived on line were very clear and informative. Each one carried you through step by step so you could understand and carry out each procedure in your own time – no panic about dead lines. The sample illustrations were also most helpful. Most of all I have benefitted from the professional critiques which arrived so promptly following the completion of each assignment. Besides being practical and informative, Stan’s comments were also positive and most encouraging. My particular difficulties with collage and especially perspective were always dealt with patiently and his “well done” encouraged me to keep on trying and improving at every step. An occassional phone call to Stan also produced specific comments and suggestions as to the particular problem and left me feeling more confident and hopeful. There is no doubt that I have learned a great deal from this course. Friends and family have remarked on this many times. “Stan has been a great support to me. after being rejected from University because I didnot have a enough drawing experience (studied Access Art/Design Course)I have been attending local classes, but felt I was not learning anything. The Taster Assignment open my eyes to mark making; I now on Assignment 1; I learning new skills; having fun; I love every task; Amazing! “As a former teacher myself I truly appreciate the clear aims of the lessons and the clear instructions. From the outset you are not just copying, you are creating your own work. When you compare the cost with what you would have to pay to attend an evening class where the quality of tuition can vary, this course is excellent value for money. “Stan taught me life drawing whilst I was doing my AS and A level art course and the experience has been amazingly valuable. Not only did it improve my drawing skills, but also built up confidence in my own work and being experimental. I applied for several art foundation courses this year and two degrees, all of which require a portfolio of work. Applying to art courses is incredibly competitive but I’m completely thrilled to have been offered a place everywhere I applied, including the Art foundation at Central Saint Martins and Degree courses at Glasgow school of Art and Edinburgh College of Art. Having come from Calder High sixth form college, my A Level work was quite limited. However, when applying for the courses I got good feedback from the life drawings that I’d done with Stan and it is certain that without these my portfolio would have been considerably weaker. All Art colleges love to see life drawing in a portfolio and the life drawing class I did with Stan allowed me to get across my individuality whilst being taught many valuable techniques and skills. “I am positive that my art classes with Stan are the reason that I had offers from all of the Unis that I appplied for this year. These include Central St Martins, London College of Fashion and Bournemouth. The London Art Schools in particular were extremely competitive but they both gave really positive feedback on my portfolios. Stan helped me to put these portfolios together and this help and advice has been invaluable. I am currently studying A level art which can be restrictive but Stan encouraged me to be experimental and taught me drawing skills and techniques that are not covered in the school curriculum.I felt that this gave me an edge over other students applying straight from school as usually you would not be offered a place on a degree course(especially at the London Art colleges) without taking a foundation Art diploma first. “Stan has helped my daughter Sian develop in both art and self confidence.This has enabled her to achieve her dream of being offered a place at a top Art College something she probably would not have achieved without Stan’s invaluable help. “Stan’s classes have unquestionably been the most enjoyable, inspiring and informative educational experience I’ve ever had. I was studying for my AS levels at school and attending several other drawing classes when I was first started Stan’s classes at Artworks. During my time studying with Stan I have learnt more in a single weekly evening class than throughout my entire time as a student at Leeds College of Art. It was due to the work that I did with Stan that recently allowed me to gain a place (straight into the 2nd year) at the Irish School of Animation in Dublin. My portfolio consisted of both traditional anatomical studies alongside gestural expressive work. I was delighted that due to my life drawings that I had done with Stan I was fast-tracked directly onto the Animation course bypassing the first year of Drawing studies. “Stan is the best theacher I’ve ever worked with. I am 16 years old and I am a student at High School of Art “N.Tonitza” , Bucharest Romania and the portofolio course was the next step for me. The course is very different from what I am used to, perhaps that is the best thing about this course and Stan’s methods. This course has helped me improve my self-confidence. I am looking forward to every assignment; and I can now approach any assignment with confidence and I am ready to face Stan’s constructive criticism. I’ve learned so many techniques in such a short time and every assignment presents at least one artist you can discover and use as inspiration. “This course is excellent; the instructions for each assignment are clear and concise, with examples that show exactly how the techniques described should be applied. The Feedback is always helpful and prompt in its delivery. Since starting this course, I have entered a local painting and drawing competition, my first entry into such a competition, and have received a commendation for my entered work. “I’ve always been interested in drawing and Art since I was really small. However I didn’t get the chance to study it to a higher level than O level and even when I was working full time, only did a few evening courses , as my main career took up all of my time. Anyway when I retired I kept meaning to get on with it, but wasn’t sure whether to do a weekly class or something at home. I read about the taster course offered by Draw and Paint online, in a magazine and after a few months ventured to do it!! so after another couple of months I embarked on the level one beginners’ course part A.
I have found it very interesting but not too easy, as I know I have to learn new techniques, but this is what I would expect with my level of experience. Stan’s feedback and helpfulness has been great and has motivated me to go on to the next assignment each time. I’ve been especially surprised that I can actually do this fairly well after all these years! I’ll be doing part B soon. This course is ideal for others like me who always wanted to do Art but were not sure where to start after many years of doing other things. The online thing is really flexible and all the materials and requirements etc are sent with each assignment, even simple stuff that I would never have thought about but that I need to know. Also I don’t have to travel miles in the evening to do a class and lug all my paraphernalia on the bus! “I’m currently working my way through the port-folio course. It’s the second online course I’ve taken in the last 12 months and I wish it had been my first. The assignments are easy to follow, come complete with examples for reference and are interesting to work through. Stan is ever present with his attention and guidance – The assignment critiques are filled with encouragement and relevant comments. Many thanks for your comments on the seascape painting which were as usual informative and helpful for future work. Painting for Leisure has been a great experience for me and I can’t wait to do more work. I cannot say that I will specialise in anything particular but I will work on Seascape painting and practice with the paint brushes. I visited an exhibition in Lausanne this summer where there were fine displays of American pre expressionist Troumpe L’oeil paintings. The Winchester Art Club runs a drawing competition alongside its annual exhibition, so I thought I would grab the competitive spirit and attempt a troumpe L’oeil pencil drawing, given your advice on creating such drawing. I thought that you would be interested to see it. At some point I will try to paint it. Now that will be a challenge for me. “I was 60 when I first participated in Peter Stanyer’s Painting and drawing courses. These courses I have found to be most enjoyable and informative, taking me through many techniques of drawing and painting. Over the courses, we built a good body of work. These courses developed gradually my skills not just with drawing and painting but also in the context of looking at other artists both past and present. “I want to say that – ‘If it wasn’t for Peter Stanyer’s courses I wouldn’t be where I am today’ – but that would sound dreadfully cheesy, however it’s true. “The painting and drawing course was such a turning point for me. It really made me get to grips with, not only new skills in drawing and painting, but how to look and observe properly. ”Peter Stanyer’s teaching was truly excellent, a skilled master and a jolly good laugh with it! “I am now in the final year of my BA Course and these courses have helped me enormously in my own personal development and creativity. Completed Painting and Drawing levels 1 & 2 with Peter Stanyer. “The portfolio building course has been truly inspirational. I’ve really enjoyed every assignment. The assignments are easy to follow and Stan is a fantastic tutor, he’s so supportive and is always happy to help. I now feel confident to present my portfolio to university lectures. I would like to say a HUGE THANK YOU to Stan for all of your help and support. I had my university interview yesterday and have been given a place at DMU starting next year! Thank you so so much, I could not have done this without you! I highly recommend the portfolio course. “- What is your full name, location, age, occupation? – How did you come across the website? What made you join? What were you hoping to get from it? I began dabbling with art in January 2008, having been encouraged by my artist Father I began by doing some sketching and painting in my spare time. Previously, my experience with art was virtually non existent, it was limited to early school lessons that I didn’t do very well with! what correspondence courses were out there. I came across Peter Stanyer’s website called ‘Draw and Paint Online’ and investigated it to see what he had on offer. – How does it work? Was it easy to use and work out? Stanyer’s credentials and artistic background, and work by Peter and students, among other useful and essential information. I was encouraged by the professional but warm and welcoming feeling provided by the website. made, which was to study with Peter. – What have you gained from joining? How have you benefited from the site? How often do you go on it? finding the much needed direction that I was looking for. Additionally, I have found that Peter has allowed me to work at a rate that is proving to suit my needs personally. Peter, who has a teaching background, has put together the course that I am currently completing in a way that makes absolute sense to me. Each lesson/assignment builds on the one previous, and the whole course is flowing in what feels to me to be a natural way of progression. Following submission of each assignment, I have received constructive and helpful feedback from Peter. If he feels that I need to repeat a part of an assignment, he isn’t afraid to say so and to tell me why! I feel that Peter Stanyer is really engaging with me as well as teaching me. I am well and truly getting my monies worth from the course tuition. ideas. This is extremely helpful – being able to see how previous students interpreted the assignments. – Why and to who would you recommend the site? (Any special features of the website you’d like to mention). encouragement, has made me put my heart and soul into the work that I submit. 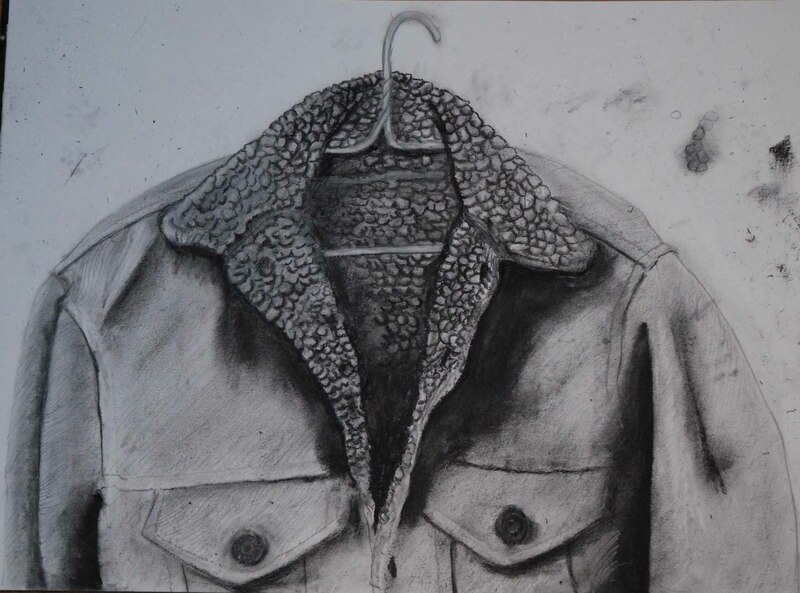 To see for yourself the quality and originality of paintings and drawings produced by Draw and Paint Online students, take a look at our students’ art work now. Why not become one of Stan’s satisfied students and sign up for one of his online art classes. Alternatively, for more information contact Draw and Paint Online now; call Stan on + 44 (0) 1422 292071 or email stan@drawandpaintonline.co.uk. Do you have a testimonial for one of Stan’s courses?